HC-UBU104 Ubuntu Design Necklace w/Peace Symbol Each necklace is on a 24-27" fine Greek Leather cord with a Peace symbol hanging form the end. The cord is available in Black, Brown or Natural (choose below). This is Ubuntu is a Bantu word that measns "We are all one Village" or "No one is whole without the other". 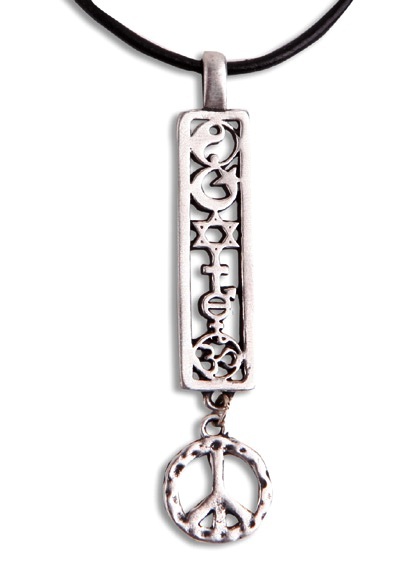 Similar to the wellknown Coexist symbols this jewelry incorporates the concept that we are all one-no separation. MINIMUM order is 3 pcs per style, $100 minimum.